Kimchi is a staple in Korean cuisine not only because it’s delicious but also for it’s many health benefits. 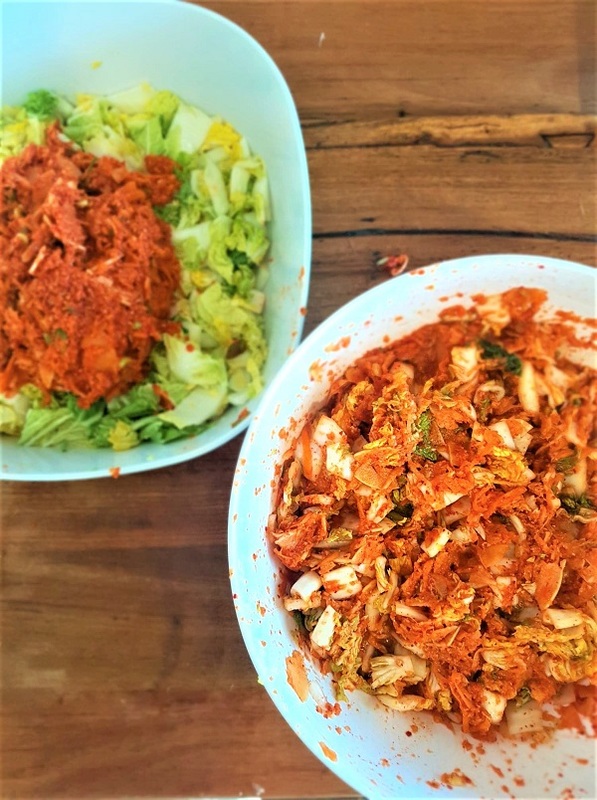 Learn the benefits and taste the delights of homemade kimchi in this hands on fermenting workshop. Not only do garlic, ginger and veggies go together so well, but once fermented the different depths of flavour continue to surprise. During this session you learn the health benefits as well as make your own jar of kimchi from scratch, flavour it and take it home to eat. Briony Kean a certified Health Coach. She works with clients to improve their health, vitality, energy and happiness by helping to make small and effective changes to diets and lifestyle. Briony is an expert on the gut microbiome and runs fermentation workshops to teach others how to add fermented foods into an everyday diet to help boost immunity, support the digestive system and improve energy levels.